Jessica Simpson may not be good at catching us by surprise (read: Jessica Simpson Is Definitely Pregnant. Maybe. 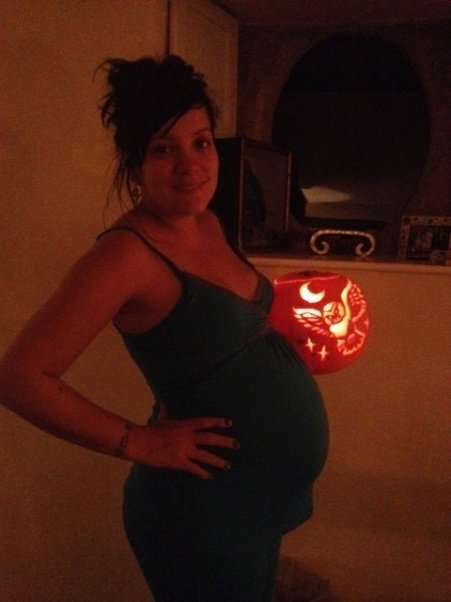 ), but you’ve got to hand it to her for her creative way of finally confirming her pregnancy. I bet she started planning it the moment the pregnancy test came back positive. In fact, I bet she planned all along to wait until Halloween to announce she’s with child and those stupid pictures from New York ruined it all. We knew Jennifer Garner was pregnant, but I didn’t realize she was this pregnant. The costume looks comfortable, that’s for sure! Lily Allen may not be in costume, but she’s still in the Halloween spirit! In related pregnant Hollywood news…..
LeAnn Rimes isn’t actually pregnant (thank goodness – can you imagine those annoying tweets? ), but she does pull the look off well. Or maybe it’s the white trash part that comes naturally. Either way, she and husband Eiddie Cibrian (who she stole from another women, let’s remember) actually look pretty darn good. 50 queries in 0.782 seconds.